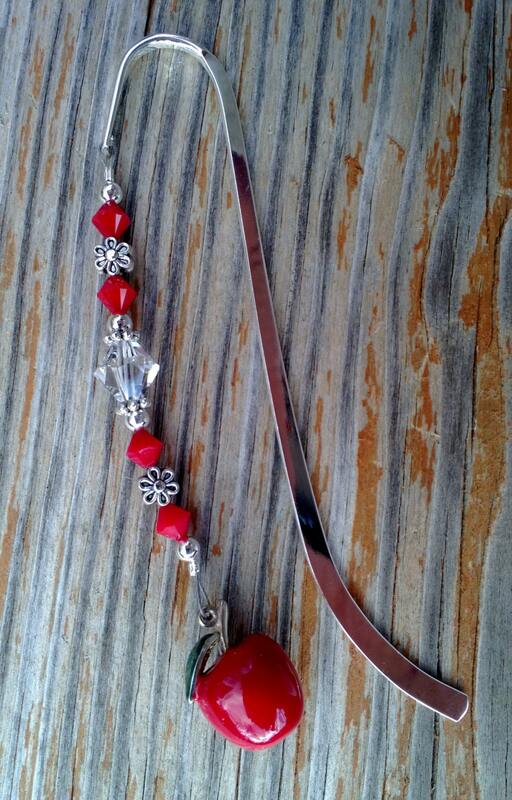 Please note, all the red and clear crystals in this bookmark are genuine Swarovski Crystal elements. 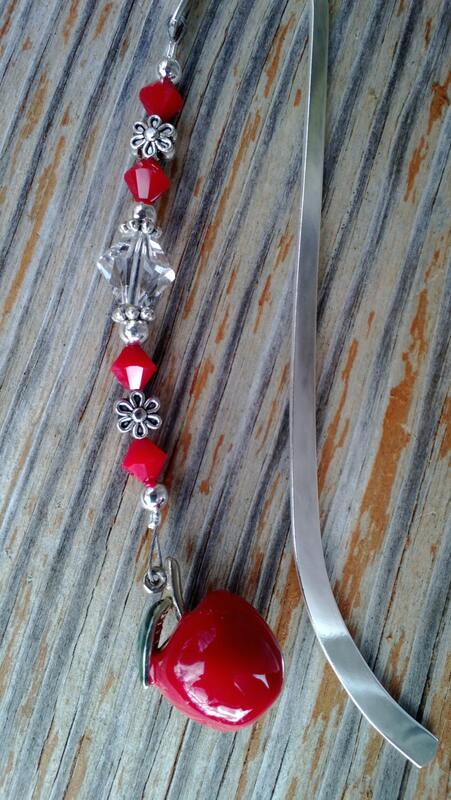 This Apple Bookmark is an original piece, designed and handmade by Michele of MichelesAManoDesigns. I bought two of these for my son's preschool teachers as a Christmas gift. 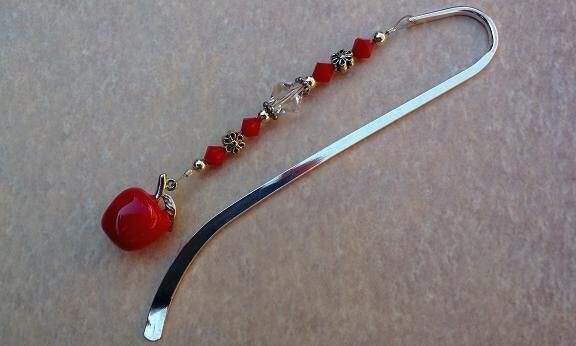 They are absolutely beautiful bookmarks, and I think his teachers will love them!